When do we need a really powerful router? Maybe when you are fed up of having to use the WiFi from a neighbouring room that's causing the film you're watching to lag or when you need a device to take care of the security of your network. The Turris Omnia router can put a stop to all these problems, which is why it has quickly become so popular across Europe. To start off with, it is worth mentioning that Turris Omnia began life as a crowdfunding project on the Indiegogo portal. During the first 24 hours, it managed to raise an incredible $100,000 and went on to amass a staggering $1.4 million to become one of the most successful crowdfunding campaigns ever. How did Turris Omnia manage to drum up and retain the interest and loyalty of so many customers? How did they manage to sell several thousand routers in such a short time? First of all, the Turris Omnia is not just a router - it is an open-source centre for your home. It is not only made for computer geeks and IT enthusiasts, but also for professionals who will enjoy the possibility of completely customising the router and its scalability through Linux. It is also a great choice for anyone who wants to have a secure network without having to fiddle with complicated settings. If that is you, the router works immediately after plugging in, and it will download the security rules and get to work. Its performance and range of features make it ideal for home use and for small and medium-sized businesses. The main advantages of the Turris Omnia router include its high security, high performance and total openness. You can use it as a home DLNA server, as NAS storage with NextCloud support, a print server, or a virtual server. You can modify its operating system as you see fit and install various applications from a wide portfolio of pre-prepared packages. The 8GB flash storage and expansion memory are ideal to get you started. 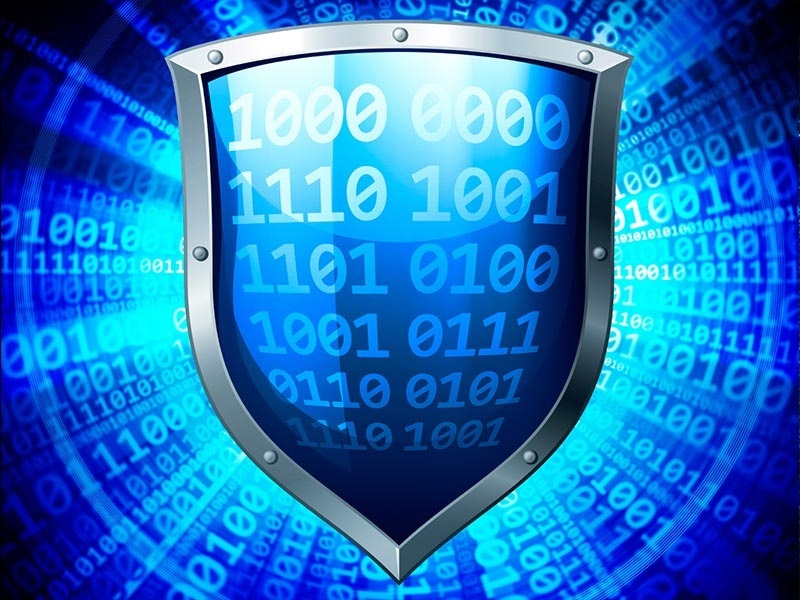 Most experienced users nowadays use antivirus and regularly update their operating system. The security of the router, which stands as a shield in front of the computer itself, is largely neglected by the user (and unfortunately the manufacturers). Once purchased and unpacked, the firmware can be up to a year old which is itself a security risk when connecting to the Internet. Additionally, it often happens that the manufacturer stops updating the router software completely. The Turris Omnia router is totally different - its software is updated regularly throughout its lifetime. As soon as a new security threat arises, the Turris development team is on it like a flash and sends updates which are automatically downloaded and installed on the router. In a similiar vein, new features are regularly being introduced to extend the router's capabilities. With a high level of security, you can fearlessly surf the waves of the internet. 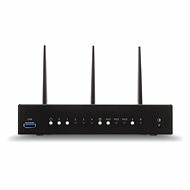 The Turris Omnia router features a collaborative adaptive firewall. This sends data from any attacks to the router directly to the Turris Surveillance Centre where it is evaluated. Automatic firewall updates are sent to all Turris Omnia routers within a few minutes. In this way, the router is protected virtually instantly from attacks without user intervention. 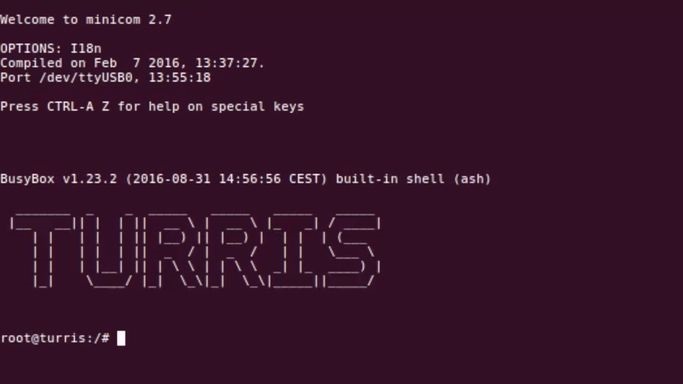 In addition, Turris lures hackers down dead-end-streets in the form of Haas's honeytraps. Attackers are redirected to these traps and the data obtained is used to analyse the attack and increase internet security. To further ensure maximum security, the Turris Omnia has a built-in crypto chip and a battery-backed RTC chip on the motherboard. The crypto chip generates random numbers to create secure communication with CZ.NIC servers. In addition, the RTC chip ensures that the correct time is maintained even during and after a power failure. Time information is used to verify electronic signatures and HTTPS certificates, so its accuracy can be vital to prevent attacks that utilise an incorrectly set system time. An important part of the security concept is the open-source development of the router. This gives you peace of mind that the router is not spyng on you ior sending data anywhere you don't want it to. The high speed of data transmission is guaranteed by the full use of three gigabit lines - one reserved for a WAN port and two for a LAN port switch. This makes it possible to use the duplex mode when forwarding between WAN and LAN. Turris Omnia offers more options when setting up separate VLANs than any other router. The Turris Omnia Router guarantees you high data rates. 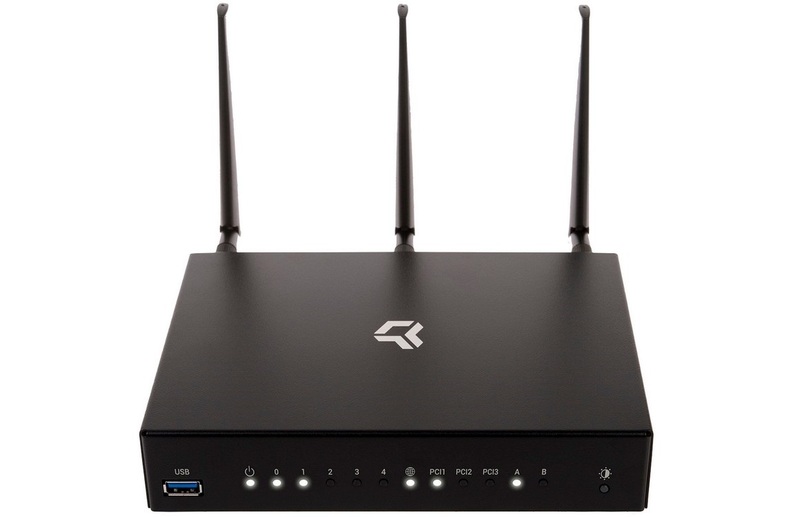 Fast and stable wireless connectivity is supported by dual-band (2.4GHz and 5GHz) and three omnidirectional antennas. The 802.11ac standard also enjoys 3×3 MIMO support and for 802.11b/g/n there is 2×2 MIMO. MIMO stands for Multiple-Input-Multiple-Output (freely translated as multiple inputs, multiple outputs) and the main benefit of this technology is a substantial increase in data transfer rates. Turris Omnia is proud to offer the highest possible WiFi speed - 1.3 Gbps - and the best possible range. The router can also create special " Guest WiFi" accounts with a separate password. Guest users only have access to the internet - not the entire network. If your ISP has introduced Fiber To The Home (FTTH), you do not need an optical converter to connect the router. TheTurris Omnia has an SFP connector and you just need to connect to the network with the correct SFP module. If a constant internet connection is crucial for your work, you can use the mobile connection feature which supports an LTE modem connection via the USB port or Mini PCI Express slot on the system board. There is also a slot for a SIM card. The router can also continually measure the quality of your internet connection using SpeedTest to make sure you are getting the service you pay for. The CZ.NIC Team puts the uttmost importance on the design and manufacturing of the entire router. Status LEDs are dimmable and their colours can be easily changed so as not to disturb you at night. The chassis is made of metal to better handle heat dissipation. The router also looks great and adds a certain style to any living room or office. 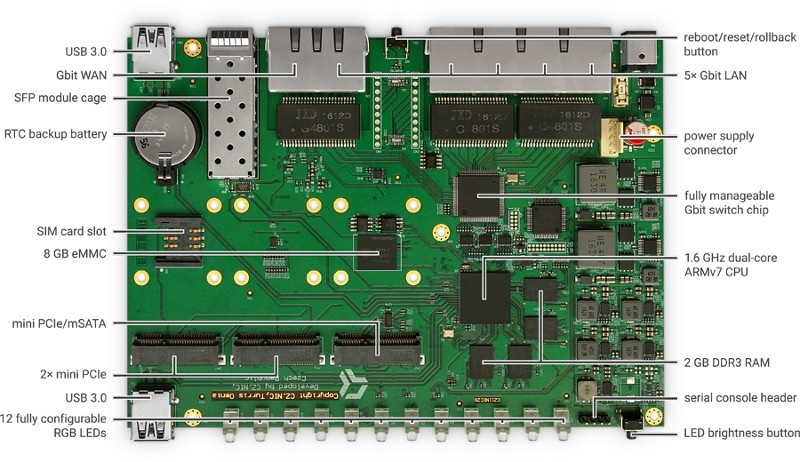 At the core of the Turris Omnia router is a sophisticated motherboard. The Turris Omnia is easily expandable with other components - whether it's an LTE modem for a back-up connection or a DVB-T tuner for sharing television with networked computers. You can also use the mSATA port to run your own server, as it is several times faster than USB. The entire construction of the Turris Omnia is reminiscent of a computer cabinet with a motherboard inside. Everything has been designed to provide quick and easy access to the motherboard without the need for special tools. Just unscrew the six screws to get inside the router and you can quickly install other components. The Turris Omnia router can be used as a DLNA server to stream movies or series to your TV or tablet. 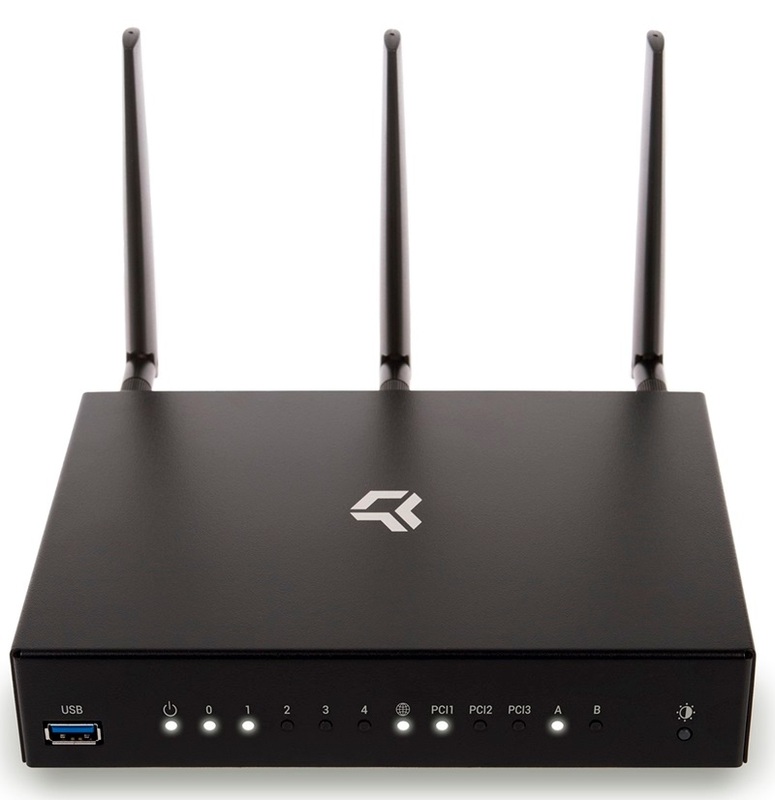 For the smooth flow of all data transfers, the router is equipped with a 1.6GHz dual-core ARM processor and up to 2GB of RAM. The pair of USB 3.0 ports are then used to connect an external disk or an LTE modem for a backup connection. You can also safely access your router files remotely via an easily configurable OpenVPN server. Turris Omnia uses an OpenWrt Linux-based open source operating system whose complete source code can be found on GitHub. This means you can change its configuration, install additional software and much more. Edits and enhancements can be shared among the community and everyone can contribute by doing so. If you want to take advantage of Turris Omnia's openness policy, you will be pleased with the availability of a customised chassis with multiple slots to bridge the UART port to a USB cable that connects to your PC. It is then possible to boot into the router's operating system where you can tinker to your heart's content. There are a number of educational videos on CZ.NIC's YouTube channel where you can learn how to install an LTE modem, mSATA disk, NAS and a whole range of other useful things. 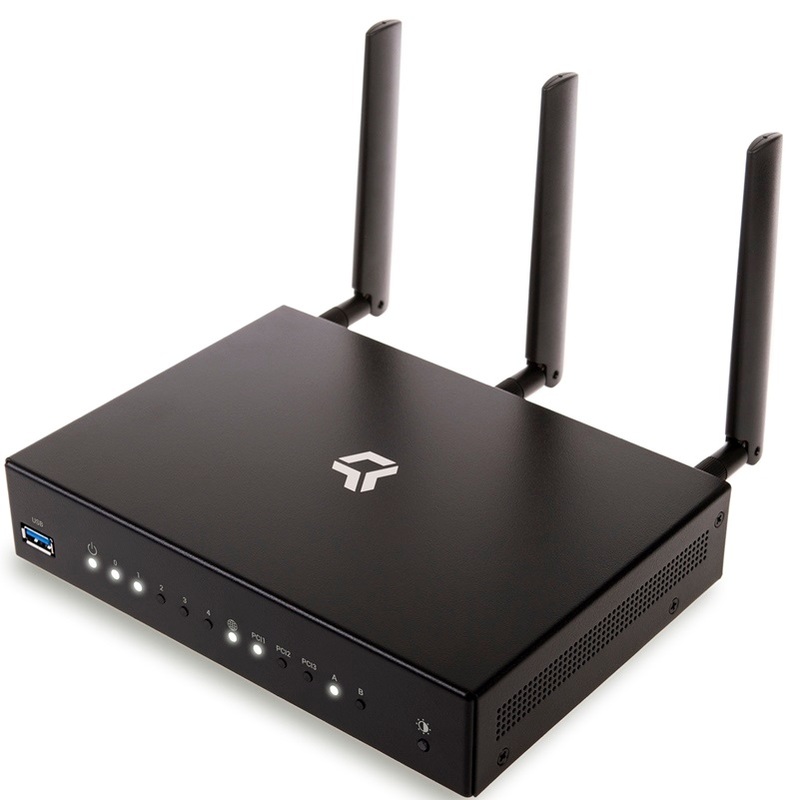 The Turris Omna router runs on an open operating system built on Linux. Turris Omnia is a router that is totally unrivalled on today's market and really has something to offer. Automatic system updates bring a new level of security to your network that is really something special. Advanced users will also be thrilled with the ability to install alternative motherboard components and from time to time utilise the SFP connector. And the downsides? The only negative we can really think of is that the small production run and high quality components lead to a higher purchase price.